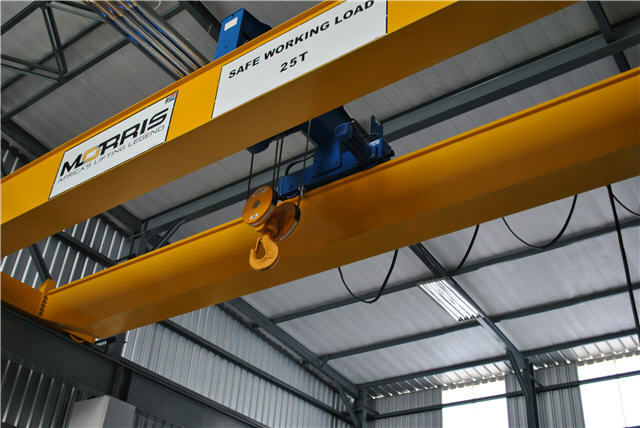 Morris Cranes, a Division of Morris Material Handling SA (Pty) Ltd, a wholly owned South African company and the Sub-Saharan agent of ABUS Kransysteme GmbH has supplied and installed lifting equipment at Voith Turbo (Pty) Ltd. Whether it’s a drive system, power transmission, power plant equipment or a unique solution, Voith are there to assist. 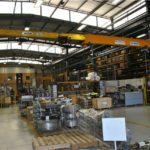 They also have the capacity and ability to test, service and overhaul systems. 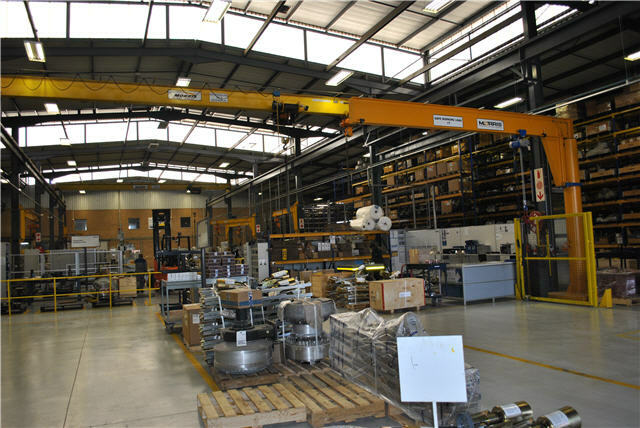 The main facility consists of an extensive network of Voith representatives, distributors and agents ensuring sales, service and distribution coverage into the African continent. 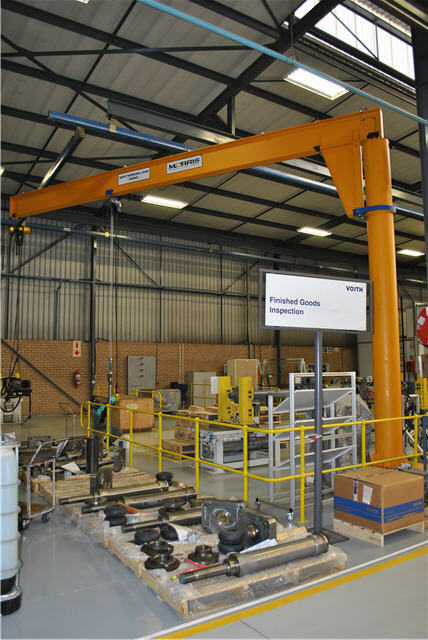 Operating from Witfield, Gauteng, the Voith office includes sales, workshops, stores and testing facilities. 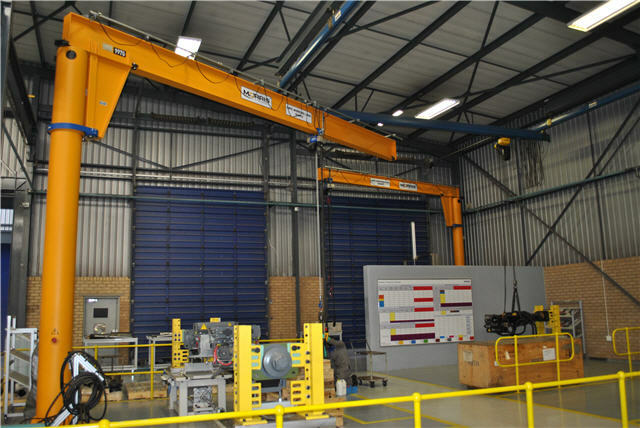 Voith Turbo South Africa utilises Morris cranes in their workshop . 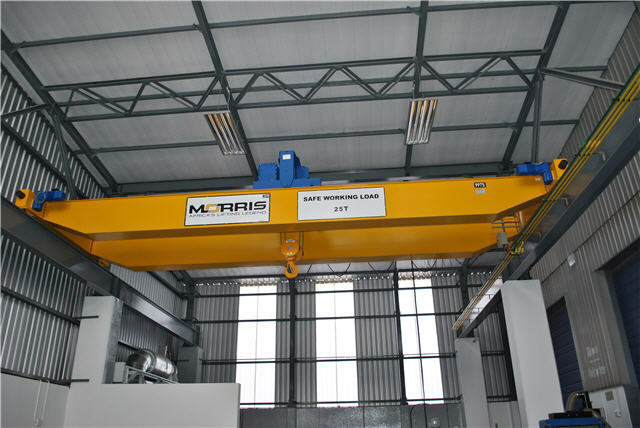 The company approached Morris Cranes for quotations on additional cranes for various workstations and the order was successfully secured during 2017. 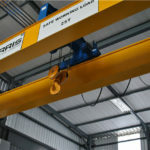 In the first bay there are 3 Jib cranes. 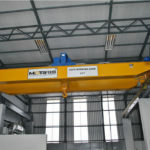 One VS type Abus Pillar Mounted Jib Crane with electric chain hoist , SWL 0.5 ton , 6m reach, 4.909m height of lift. 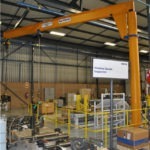 One VS type Abus Pillar Mounted Jib Crane with electric chain hoist , SWL 0.5 ton , 9m reach, 4.812m height of lift used for sorting of finished goods. 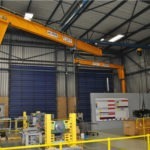 One VS type Abus Pillar Mounted Jib Crane with electric chain hoist , SWL 0.5 ton , 9m reach, 4.812m height of lift situated at the back end of the workshop. 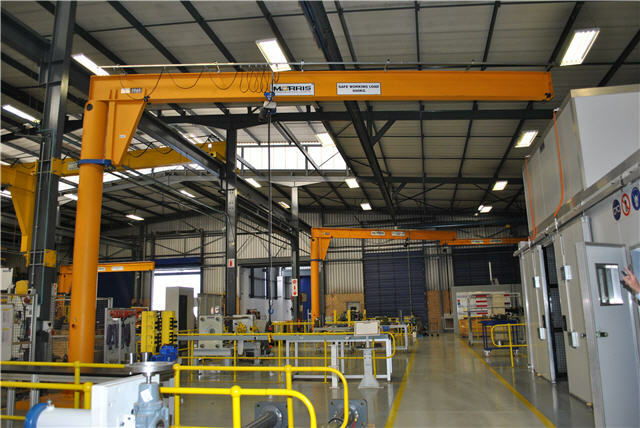 In the second bay, One Abus Pillar Mounted Jib Crane was erected with an electric chain hoist, SWL 1 ton, 6m reach, 3.472m height of lift. 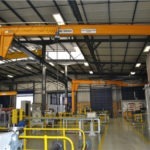 In the wash bay , One Abus ZLK Double Girder Crane, SWL 25 tons, 9.7m span , 4.5m height of lift. As a global company , Voith are able to draw on their extensive network and have knowledge, skills and expertise from every continent to provide suitable results of leading edge technology and service which will allow your business to meet and exceed its full potential .